Steven (Adam Burton), recently separated from his wife Sonja (Lindsay Fraser) and heading towards divorce, bumps into an old friend (Abdul Salis) on the journey to a job interview. On the train there is also a mysterious man, called the Duke (Richard Corgan) who lives day by day and seems to understand the pain Steven is going through. The journey of the train is a metaphor about Steven's journey into depression. Distance specifically tries to explore mental illness and the impact on the individual, the family and the society and we all know how important this topic is nowadays. In fact, suicide is the biggest killer of men under 45 in the UK. Some things are a bit confused: has Steven become suicidal after the separation or his marriage ended because his mental health deteriorated? Who is really Duke (his funny character contributes effectively to the comic side of the play) and what it’s his role in all this? Does Sonia really understand what is going on? I think Alex McSweeney and Simon Pittman (Writer and Director) want to focus more on what is the personal experience of someone who got depression and present his journey, than telling the story around Steven. 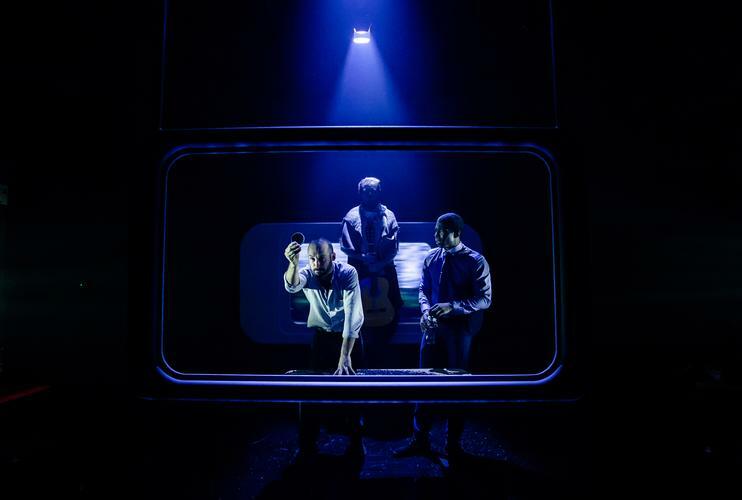 The show is brilliantly acted and originally staged and the darkness in the room fits well with the darkness of the subject. 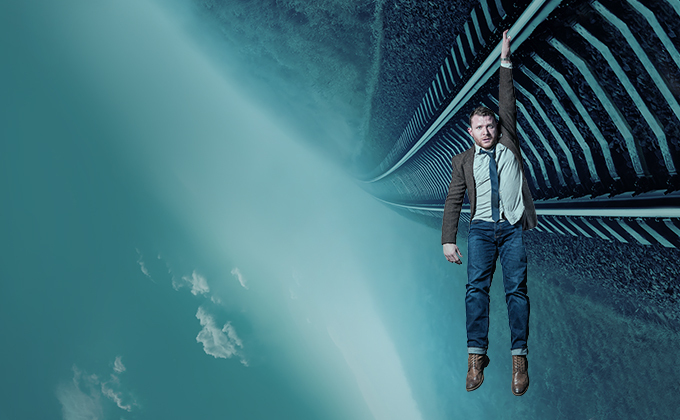 Distance is a courageous, disturbing and moving play, that – even if it does not give answers – raises important questions and general awareness about mental health and suicide.